Confessions of a Ribbon Addict: Snow for my Angels! 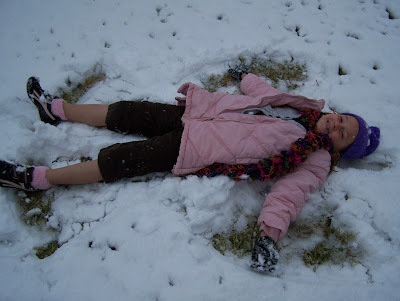 Madeline making a snow angel. 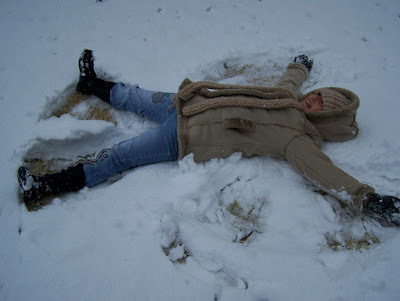 Bailey making a snow angel. Bailey standing in the snow. The view outside my back door. Our house backs up to the mountain. The pole is a light that lines the freeway. A friend of the girls, Madeline and Bailey playing in the snow at the park. Cute pics! I didn't realize you were in El Paso, David's aunt lives there! I have been there all of once. I'll tell him you got snow. Now, see, I've been in Texas so long that the capris didn't even register with me at all. My kids wear them all winter long. Glad you got some snow for the kids to play in! LOL! Great pics! I saw the capris and thought it was odd....but I find it more odd that you all own toques and a scarf...wouldn't have thought you'd need those! I guess you probably visit somewhere that you do need them. I'm way up here in Canada and NO snow for us yet ;) It's coming this week though! The kids look like they had a BLAST! Those pics are so adorable. I immediately noticed the capris on Madeline and had to laugh. Here in the great white north we wear long underwear and snow pants but it's still just as exciting to see that first snow. Enjoy! LOL at first I was like "What's the big deal?? It's just snow" - I forgot you were in TEXAS!! So ya that is a leetle out of the ordinary eh?? And heck you guys got more than we have up here in the middle of Saskatchewan!! My girlies would be so jealous if they knew! So glad they got to enjoy it! 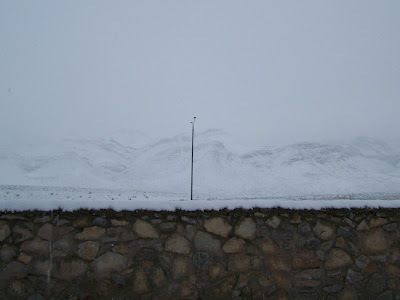 I was so stunned by the snow that I had to go back and check out the clothes. Snow? In Texas? It's so not fair! I live in NJ and all we have is rain. I am extremely jealous, make a snowman for me and tell your kids to enjoy it! 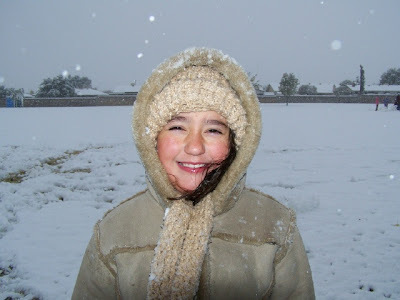 I thought about you when I saw there was snow in El Paso, Jody! 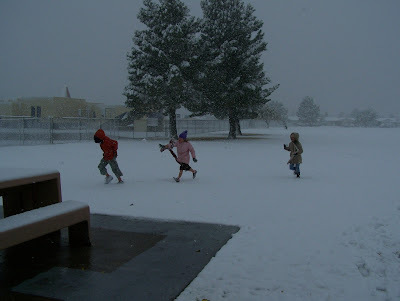 Glad your kiddos got to have some winter fun! How cool is that? Here in Chicago, it is a pretty common thing, and yet the first snow of the year is always exciting! Hope it lasts a little while so your kids can enjoy it a bit longer! Yipee....I guess they got a "snow day" off at school? Makes it look like the holidays early. So you had snow before we did! I LOVE your picture with the mountains in the background. I really like those mountains. They are so majestic. They are just there in the middle of flat land! Gorgeous! I'm sure your kids enjoyed the snow!